"...Tara her husband Phil were the ONLY members of our Canadian animation team for Rob The Robot; completing 5 x 11 minute episodes not only in record time but with phenomenal quality!" 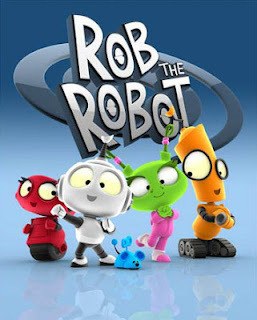 Rob the Robot is a peppy little kids' TV series animated in Autodesk Softimage. It's a high-volume show with a very organized pipeline and an extensive library. I wish you could see their slick style pack with illustrated tips and video examples for keeping the approach consistent. Rob the Robot is currently airing on TVO.